Watch out Hayling Island, the KAPOW wrestlers are coming to town! This special event is sponsored by T & N House Clearance. Quality Wrestling and KAPOW offer you tutelage under one of the best in the country: "The Prince of Mumbai" Rishi Ghosh. Sessions are £20 and stand out, dedicated trainees may earn themselves spots on future KAPOW shows. Quality Wrestling and KAPOW offer you tutelage under one of the best in the country: "The Prince of Mumbai" Rishi Ghosh. Junior Sessions are £15. 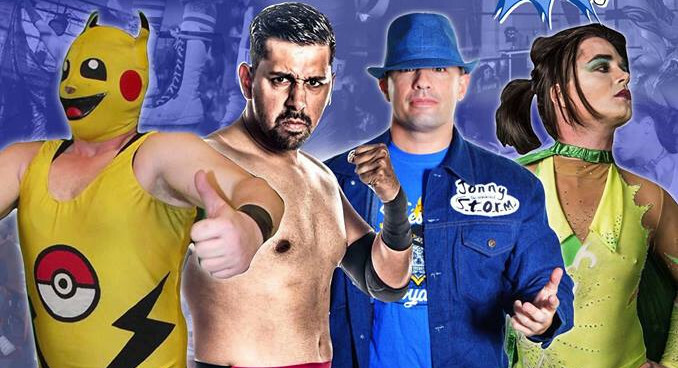 KAPOW Wrestling comes back to Littlehampton for the first time in 2019. Featuring KAPOW Heroweight Champion 'Dashing' Ant La Dash and his Ant-erage "The Thunderball" Lookachu "Super Soldier" Mjr Lee Buff "The Prince of Mumbai" Rishi Ghosh ...and many more! 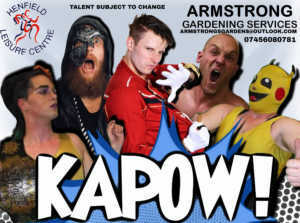 Hedge End Social Club presents KAPOW Wrestling! KAPOW - the nation's most colourful wrestling federation is coming to Cranleigh - the nation's largest village! 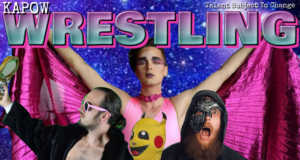 Featuring: "Heartbreaker" Brad Tannen "The Thunderball" Lookachu & Priscilla: Queen of the Ring! Matches to be announced soon..
KAPOW Wrestling comes back to Broadbridge Heath for the first time in 2019 in a new venue! Featuring KAPOW Heroweight Champion "Dashing" Ant La Dash and his Ant-erage "The Thunderball" Lookachu "Super Soldier" Mjr Lee Buff "Mad Dog" Brian Quinn ...and many more! KAPOW Wrestling comes to Horley. Talent subject to change.